For decades, the main focus for environmental researchers and scientists was on determining what to do about the ever-worsening quality of our planet’s outdoor air. Much was published about ozone layer depletion, harmful ultraviolet rays, increasing levels of fossil fuels emissions, and volatile organic compounds. It was just one scary editorial after another. But now, the research focus has shifted. Suddenly, wherever you turn, there is discussion about the ever-worsening quality of our indoor air supply. There are a variety of reasons for this, ranging from new airtight construction standards to an ever-increasing focus on do-it-yourself home renovations to new research showing how many cleaning and personal care products are not as safe as we thought them to be. The good news is, there is much you can do to control the quality of your indoor air. In this article, we will share five of our favorite steps to achieve cleaner, fresher air inside your home. In 2015, Ontario transitioned from using the Air Quality Index to the Air Quality Health Index, indicating the increasing focus on the negative side effects of breathing toxic outdoor air. There will always be a link between the quality of air outside your home and the quality of air inside your home, but never more so than when that outside air is leaking in and you don’t even know it. Of course, sometimes you open doors or windows and let the outside air in. But more frequently, and especially if you live in an older home, that outside air is getting in through leaky seals and degraded weather stripping. By tuning in to Air Quality Ontario’s Health Index daily, you can find out what the airborne risk level is for that day. With that information, you can make the choice to open windows or doors for some extra ventilation. And you can work toward sealing up leaky seals and weather stripping so you can control whether or not that outdoor air comes inside your home. Tests have now been developed that can be conducted inside your home to determine the levels of airborne toxins and carcinogens. Airborne pollutants can include troublemakers such as mould and mildew spores, dust mites, pet dander, carbon dioxide, carbon monoxide, radon, insect and rodent debris, and similar others. But there are many other toxins that you might never suspect would be hiding inside your indoor air supply. Off-gassing from craft glues and supplies, DIY home repair adhesives, volatile organic compounds from your stove or nearby garaged vehicles, and fumes from carpeting and draperies may also be present. The indoor air quality test takes 72 hours. It is so quiet and unobtrusive you will forget it is even there. Yet when the test is finished running, you will receive a comprehensive list of all toxins detected in your indoor air and notes about which ones show levels that may affect your family’s health. This can give you solid information to work from in crafting an indoor air purification program. Your air conditioning filter, of course, needs regular monthly attention. The more clogged that filter gets, the more likely trapped dust and debris will get pushed out along with your indoor air back into your home. This means you will be breathing in those toxins along with your air. 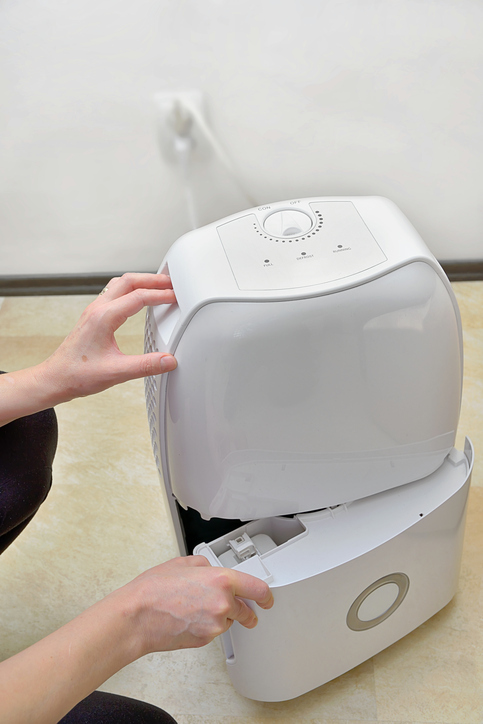 Other filters you will want to replace regularly include your vacuum filter (if applicable) and any portable appliance filters you may be using (examples could include a dehumidifier or humidifier, air purifier, air filtration unit, HEPA filter, etc.). You should plan to replace your HVAC filter at least monthly and other filters according to the manufacturer’s instructions and your level of usage. If you think your HVAC filters get dirty, just imagine what the insides of your air ducts must look like! The truth is, most homes have never had their interior air duct system—the system they rely on to transport temperature-controlled air from the central HVAC unit to each room in their home—professionally cleaned. If your home is brand-new and built to be airtight, this might not be an issue. But if you are living in a home that is older than a decade and you have no record that the home has ever had this service, the condition of your inside air ducts is probably not unlike what your countertops would look like if you left home and didn’t return for 10 years. There may be dust, debris, mould and mildew, fungal matter, pet dander and hair, insect remains, pollen, residue from personal and cleaning products and more—all trapped inside your air ducts. Every time your HVAC unit cycles on, this trapped debris get pushed out into your home air supply, where you then breathe them in. A professional air duct cleaning will take half a day at most (depending on the size of your space), and will leave your inside air ducts squeaky clean, fresh, and sanitized. It will be like hitting the “reset” button on your indoor air quality. Summer weather can produce just the right conditions for mould and mildew spores to germinate and multiply quickly. Hot spot areas inside your home tend to be areas that are naturally more humid already, such as the bathrooms, laundry room, kitchen, attic, and basement. Aim to lower the humidity in these areas by using fans, exhaust vents, portable or central dehumidifiers, and heat recovery ventilators as needed. This will help you sidestep the inconvenience and expense of cleaning up mould or mildew. For help purifying your indoor air, give us a call at 905-544-2470 or contact us online.